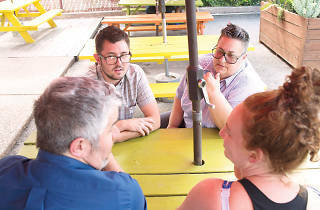 Tolerance is at a premium in some Texas cities, but Austin’s status as a liberal bubble means that we have a strong community of LGBTQ organizers, businesspeople and politicians working to create a space (outside of Austin's best gay bars) where more people feel encouraged to thrive. 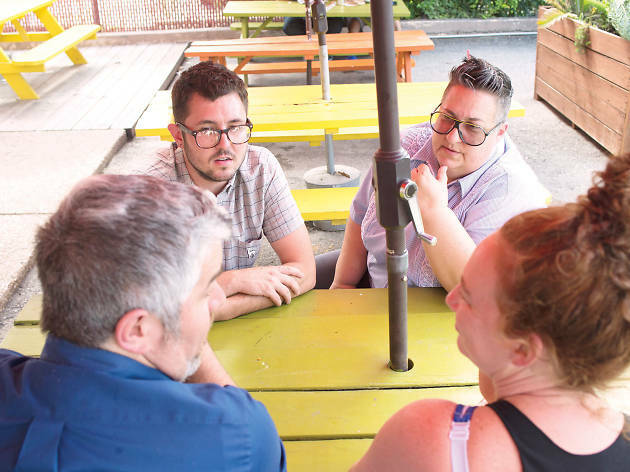 We sat down with some of the city’s most prominent LGBTQ leaders to discuss issues facing the community, starting with a simple question: What’s it like to be queer in Austin? Here’s what Jeremy von Stilb (filmmaker, DJ Mouthfeel), Jimmy Flannigan (city council member for District 6), Kate Messer (former editor of the Austin Chronicle’s Gay Place, communications director for Jimmy Flannigan) and Erica Nix (fitness instructor at Transform) had to say. Jeremy von Stilb: I moved from Los Angeles and found it much easier to be out [in Austin]. It was really surprising. Working in film, I was coming up against a lot of subtle homophobia. Here it’s more open-minded and different voices work together. Kate Messer: I came here 25 years ago from South Florida. My biggest issues with Austin are along the lines of intersectionalities, but even people in areas of town that you wouldn’t assume to be progressive are, for the most part, welcoming and accepting. Jimmy Flannigan: I represent a very heteronormative white dude…but on the campaign trail, even very progressive people still said a gay guy could never win this district. 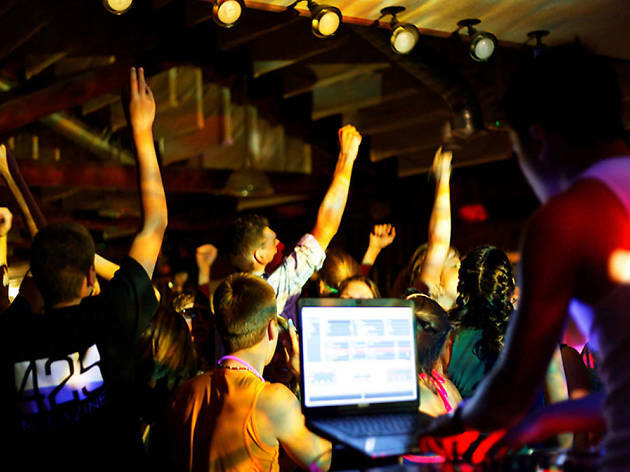 Erica Nix: Compared to growing up in Arlington, it’s not hard to be queer here. JVS: On a state level, you can feel very defeated. As a protest against the bathroom bill, my friends put together a dance party in front of the governor’s mansion so that we could feel stronger and support one another. EN: That got a lot of press, because it was something different. The community was very supportive, but it doesn’t always pay off. JF: There are some people whose minds are made up. There’s 30 percent of the people on both sides of an issue, but then there’s that middle third. The hard part about advocacy is knowing which third you’re talking to. KM: One thing I’ve learned about acceptance and talking to those other thirds in Austin is that anecdotes can lead to progress. EN: A lot of those testimonies at the Capitol about the bathroom bill, those were the only times officials have met a trans person or heard them talk. Unfortunately the payoff might be decades from now, but it seems like there can be some progress. JVS: For real progress, I think there needs to be more spaces for young queer people to try things and figure themselves out. If you’re 22 and start a band or DJ and aren’t good yet, there aren’t places to fall on your face and still get a second chance. In five years when everyone moves or retires, there might be a gap. EN: Losing creative spaces is also an issue. Places like Rude Mechs and Salvage Vanguard were really important to our creative communities—people need physical spaces. KM: You have to invest in your creative culture. The place we’re at right now boggles me, because I don’t know where those next spaces are. Every time we’re at a point where I think we’re going to hell, some freaks come in and reinvent something to rescue us. I’m a skeptical optimist. But if we take places like Rude Mechs for granted and don’t support them, we’re kind of screwed. JVS: There’s just not a lot of [opportunity] for people to perform in different types of places. And that’s important, because the people I had met in a club setting are the same ones I worked with on HIV advocacy and getting the word out about testing. EN: Those programs are great, but I wish there was a way to have more protection for our community. When you think of the amount of transgender people that died this year, can you ask help for that from your city council? Or just the goddess above? JF: It’s always both! Part of that is making sure police have the education to be responsive to the needs to the community, but we can’t have cops on every corner, and probably wouldn’t want them there. We have to give people the basic liberty and respect to determine their identity and gender, so that those people feel welcomed in all facets of society. JVS: No one who can change those things is following you on Facebook, which is where a lot of people put their activism. They think that saying the right thing there has an impact. Take your status update, put it on a notecard and read it at a city council meeting. EN: It’s exciting to talk to y’all and having specific calls to action. Just the idea of having 30 people on a phone tree, and having one person a day having a different responsibility—who can’t do that? JF: When we think about the elections we’re losing, a great number are lost by one percent, and the turnout is less than 50 percent. The state feels hopelessly retrogressive, but we’re really only talking about 10- or 20,000 voters who can substantially change the politics of the state. KM: That’s a small Beyoncé show! 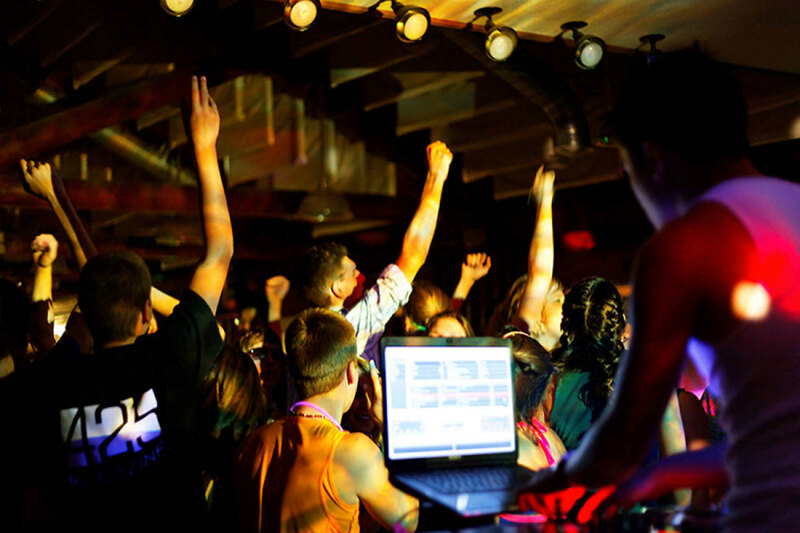 The LGBTQ community is a proud presence in our city, with a handful of lively gay bars and LGBTQ nights to prove it.